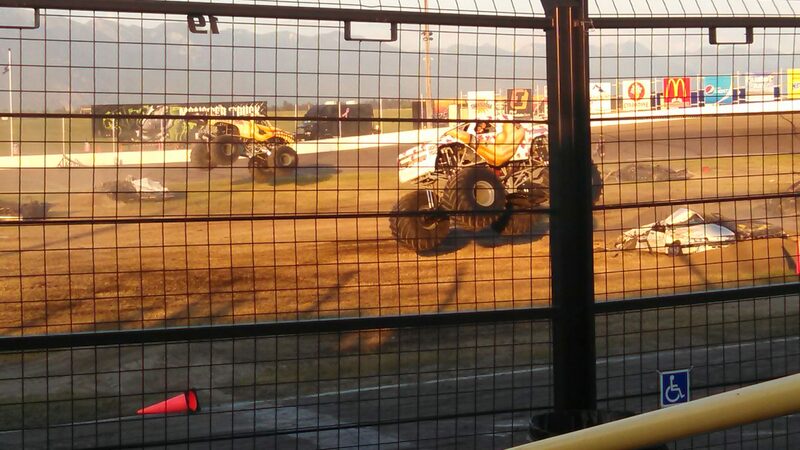 I had an interesting time attending my first monster truck event last weekend. It was the usual fair of school buses and mini-vans being ground into dust, but the crowd watching was the main attraction. One woman managed to plop a leaning tower of blue hair atop her head conjuring visions of Marge Simpson, while another young man sported a red, white, and blue mullet that would put Elton John back on his heels. Discussing the crowd with the attendee next to me I found the most poignant observation concerned these dress choices. Monster truck attendees (it seems) represent people who have decided not to give in to media driven ideals of perfection. If you have a beer belly, don’t hide it, wear a half top vest that shows it to the world. Too skinny for those jeans? No problem, wear a leopard thong above your pant line bringing attention to it. Although culturally we judge these people as “rednecks” I must say that I was impressed with the level of carefree freedom they were able to express while watching trucks bash things.